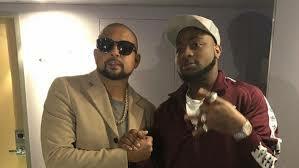 Jamaican superstar, Sean Paul, has just heaped praises on Davido for the amazing works he’s done in music since he came into the industry. The jamaican and Davido met in London while the Nigerian superstar was on tour, and they shared pleasantries, revealing admiration for each other. While many would naturally feel Davido would be the one in awe of the Jamaican superstar, reverse was the case as it was Sean who expressed more of his admiration for Davido. The “Shot and Wine” crooner took to his Instagram to reveal how proud he is for the works Davido has done with his music craft.